Graceful Chic wishes that you “prosper in all things and be in health, just as your soul prospers” (3rd John 1:2). In addition to fashion, beauty and lifestyle news, we hope to inspire successful pursuit of careers and even starting your own businesses. We will continue to bring you empowering information and examples of other women who are successful and prospering in the market place. 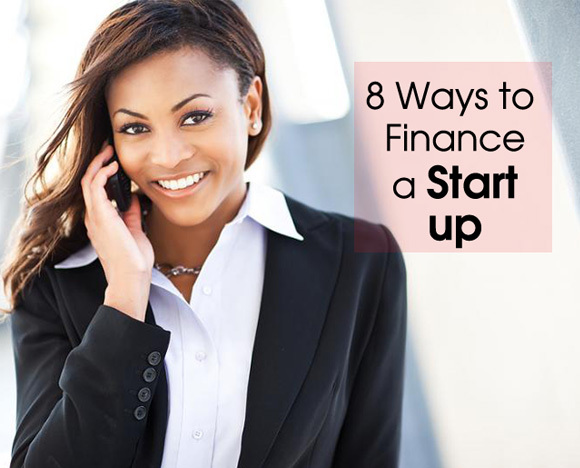 Today we look at 8 ways to finance a start up. No matter how ground breaking your business idea or product is, you are not going very far without funding. Start up funding is one of the most common barriers to entry in business. One of the biggest test for a successful entrepreneur is to convince those who have money to invest or lend you money for your new business. The potential financier will always judge your request based on various factors before committing. The demand or the appeal of your product, your business track record, skill set in your business, and sales potential are some of the factors that are considered. The first obstacle, however, is to figure out where to start looking for money. Typically, project owners create a profile containing a short video which includes an introduction to their project, a list of rewards per donation, and some images to elaborate. The idea is to create a compelling message that will draw the readers. Instead of traditional investors, crowdfunding campaigns are funded by the general public. This could include friends, family, work acquaintances, or anyone that the owner is connected which includes their second and third degree connections. Once a project has seen some traction, unrelated consumers start coming out of the woodwork to support campaigns in which they believe. Utilizing social media, creating email distribution lists before the project launches, and contacting local media are all necessary steps to take if you are serious about your goal. 1. Bootstrapping. Entrepreneurs spend an average of $70,000 to start a business, according to William Bygrave, the Frederic C. Hamilton professor of free enterprise at Babson College in Wellesley, Mass. And most of that money is provided by the small-business owners themselves. “Bootstrapping means using whatever resources you have on hand to help you get your business to the next level,” says Tom Ehrenfeld, author of The Startup Garden: How Growing a Business Grows You (McGraw-Hill, 2002). Where do entrepreneurs find the money? While a large part comes from personal savings and home-equity loans, they also tend to use plastic heavily. In fact, perhaps half of all startups are funded by the owners’ credit cards, according to Timothy Faley, managing director of the Samuel Zell & Robert H. Lurie Institute for Entrepreneurial Studies at the University of Michigan’s Ross School of Business. Take Google. For the first two years, founders Larry Page and Sergey Brin financed their efforts almost entirely through the use of credit cards, according to Bygrave. But tread carefully. If you rack up a huge debt and damage your credit rating, it’ll be hard to get further funding. 2. Friends and family. At the very early stages of any startup, entrepreneurs also tend to raise money from relatives, colleagues and other people they know well. Take Blue Joe Estate Coffee, a Lake Oswego, Ore.-based company selling gourmet coffee. When they started the business three years ago, with no products and little previous experience in the industry, founders A.J. Brown and John Shanebrook decided their only route was to tap friends. They raised $480,000. Now that they’re further along in their plan, they’re looking for funding from other sources. Usually, friends-and-family financing is informal. You probably won’t have to write a business plan beforehand, for example. But no matter how well you know your early investors, you’d be wise to draw up a contract to prevent any misunderstandings down the line. 3. Banks. For most startups, getting a traditional bank loan is a long shot. That’s because banks typically will only consider companies that have been in business for two years. What’s more, they need to see a tangible asset that can be used as collateral. The exception is a manufacturing company building or using heavy equipment. 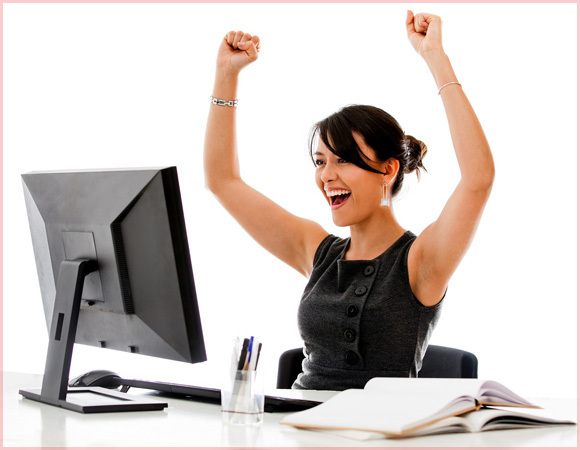 One possibility is to apply for a loan guaranteed by the Small Business Administration (SBA). A bank is more likely to take on a company with an SBA guaranty. Even with that seal of approval, however, you may still have to pledge your home as collateral. 4. Grants. If yours is a technology business, you might be able to apply for a Small Business Innovation Research grant (SBIR). That’s a federally funded program mandating that certain agencies set aside part of their budgets to fund fledgling high-tech companies with interesting inventions they want to commercialize. There also are a limited number of government grants for women and minority-owned businesses. The really good part: Competition for this money is steep. So, if you apply for and win a grant, it’s helpful for attracting funding from other investors. 5. Angels. If you’re further along in your development – you have a management team and, preferably, a product or service on the market – you can try angels. They’re private, high net-worth individuals who generally invest anywhere from $50,000 to $2 million in companies. Angels invested about $25.6 billion last year, an increase of 10.8 percent from 2005, according to the Center for Venture Research at the University of New Hampshire. Often former entrepreneurs themselves, angels can offer a lot more than money: They also can provide expertise and useful contacts. How to find them? One avenue is to approach the growing number of angel clubs that have sprouted up. These groups of private investors meet regularly to hear brief presentations from entrepreneurs seeking money and then, often, give money jointly to companies. The downside: As angels have become more sophisticated, they’ve also started to focus more on later-stage companies. 6. Venture capital. Simply put, VCs rarely invest in startups or even early-stage companies. “You have a much better chance of winning $1 million in the lottery than raising venture capital for a startup,” says Bygrave. Consider the numbers: In the first quarter of 2007, VCs invested just $26 million in seed funding, according to Ernst & Young and Dow Jones VentureOne, compared with $3.1 billion for later-stage ventures. Still, if your company already has a track record and promises high returns, it’s worth a shot. Your best bet is to use your network to find a referral. Then, make sure you have an airtight business plan. You also have to be willing to give up control over major decisions and to sell your business or have an IPO within seven years of receiving an investment.